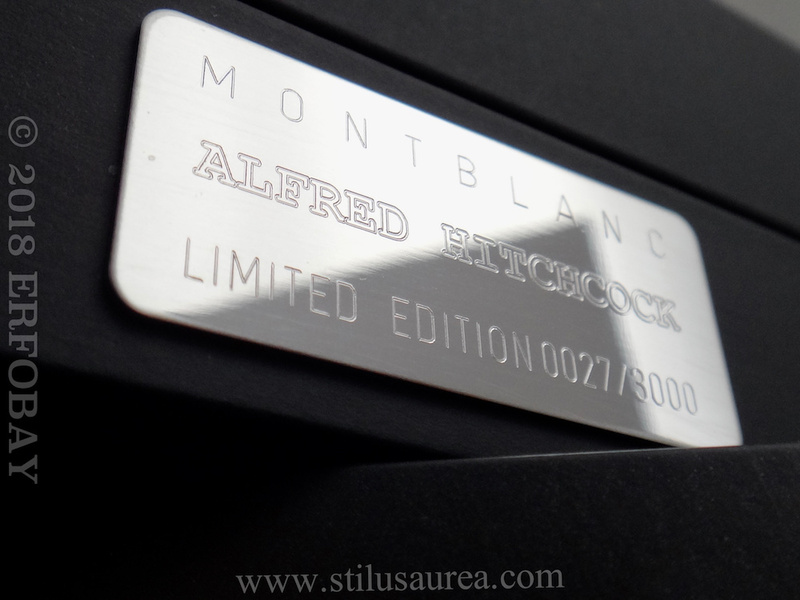 Montblanc’s tribute to Alfred Hitchcock, innovator of the thriller genre and the genius behind horror and suspense classics including “Psycho,” “The Birds,” “Vertigo,” and “Rear Window.” Alfred Hitchcock is considered by many to be one of the most influential filmmakers of all time and a true cultural icon. 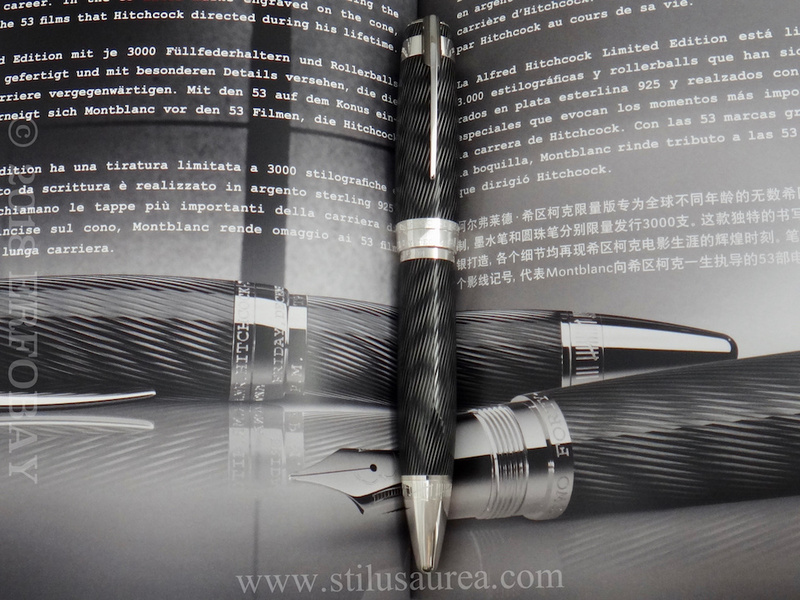 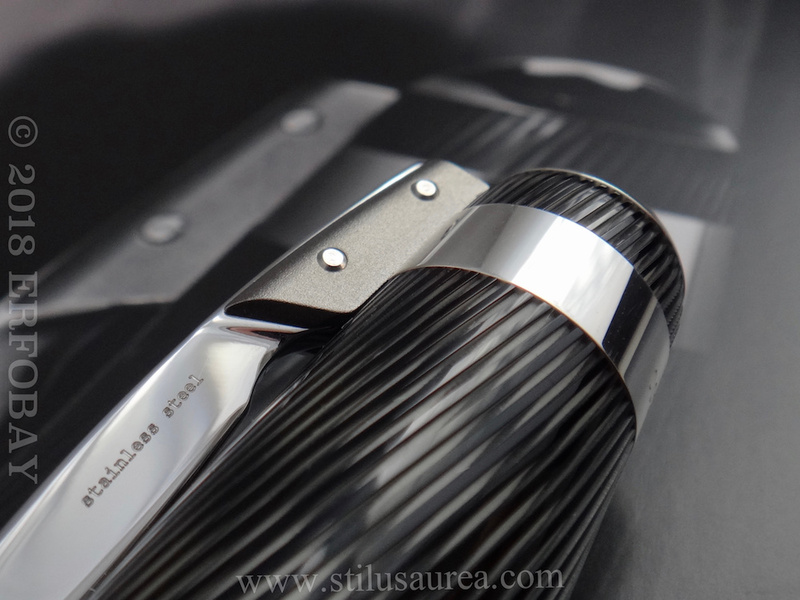 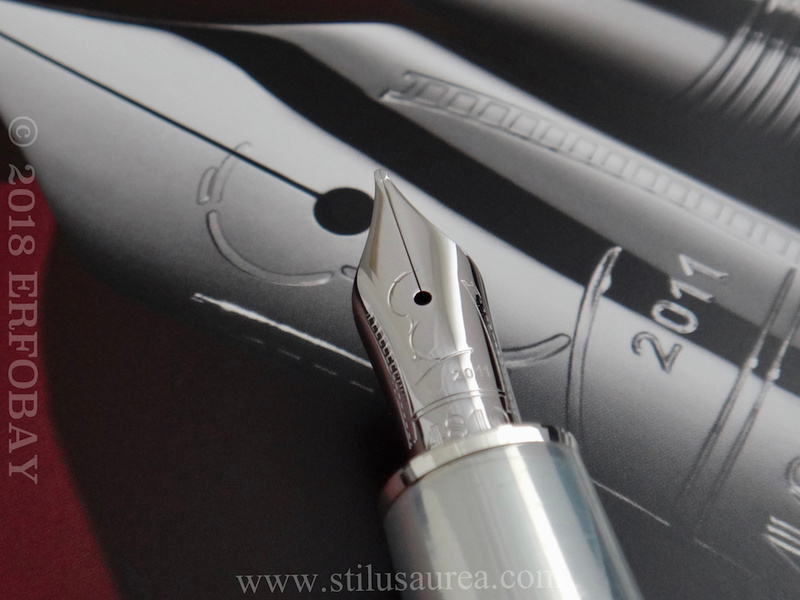 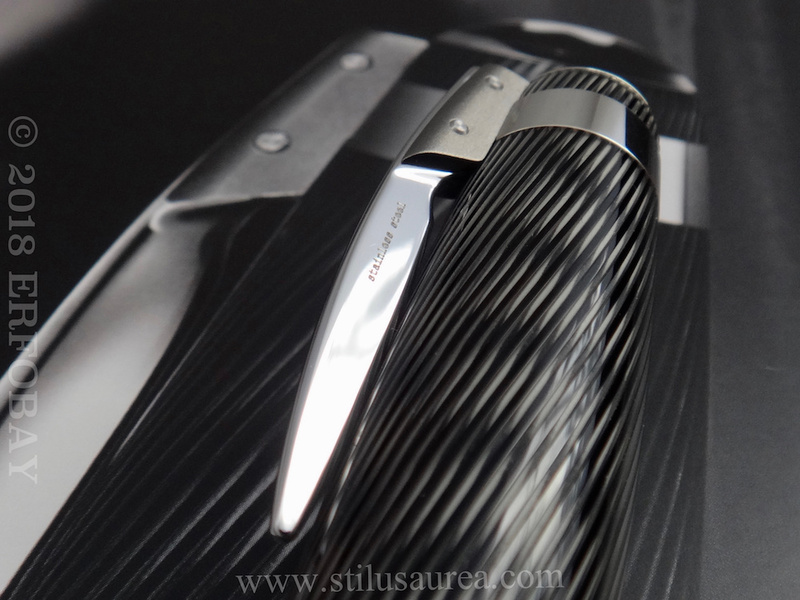 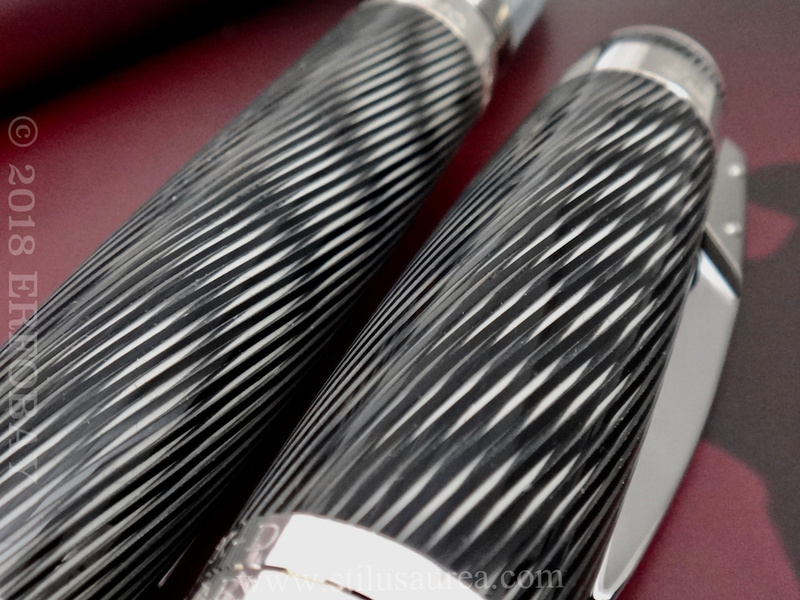 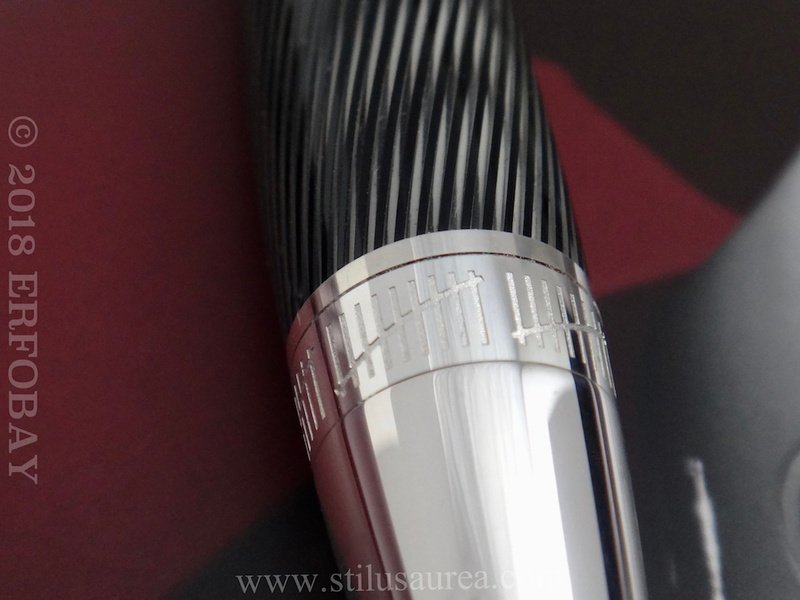 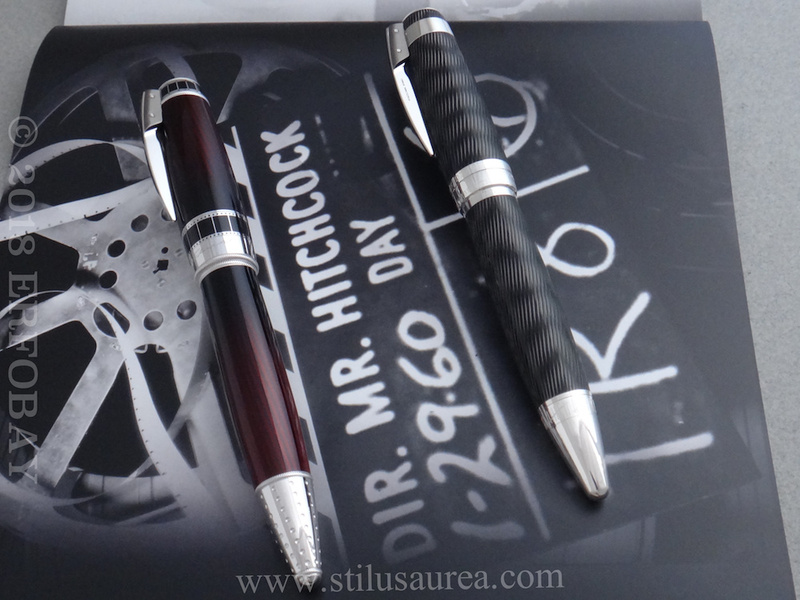 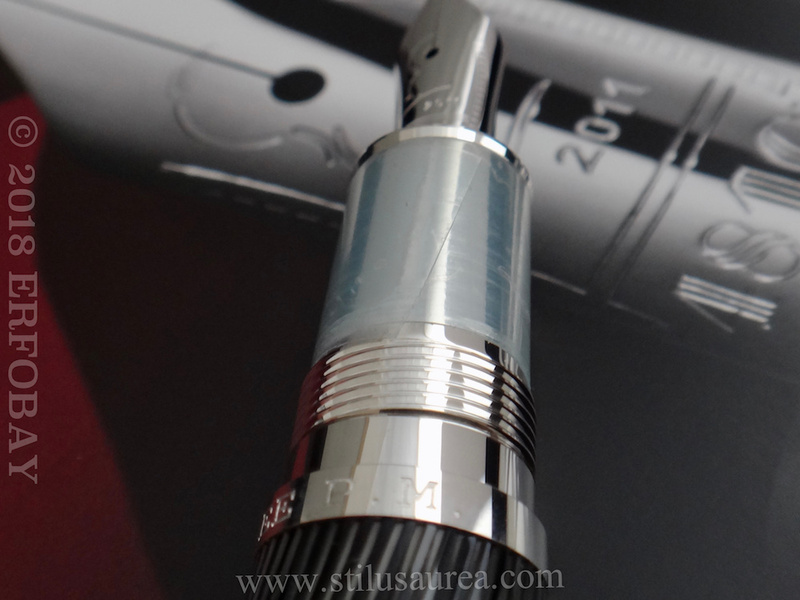 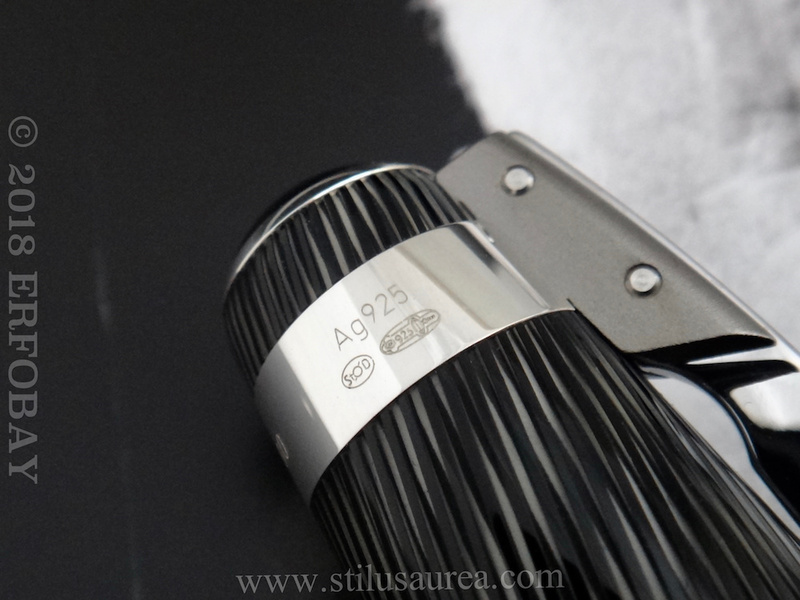 The Alfred Hitchcock Limited Edition is limited to 3000 fountain pens and rollerballs, each made from Lacquered 925 sterling silver grooved with Vertigo-inducing spiral pattern. 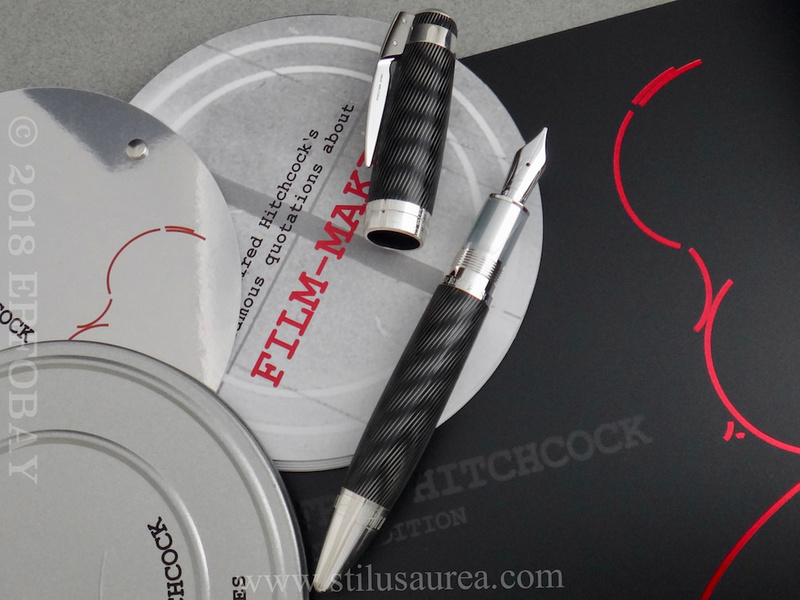 In the 53 hatch marks engraved on cone Montblanc pays tribute to the 53 films that Hitchcock directed during his lifetime. 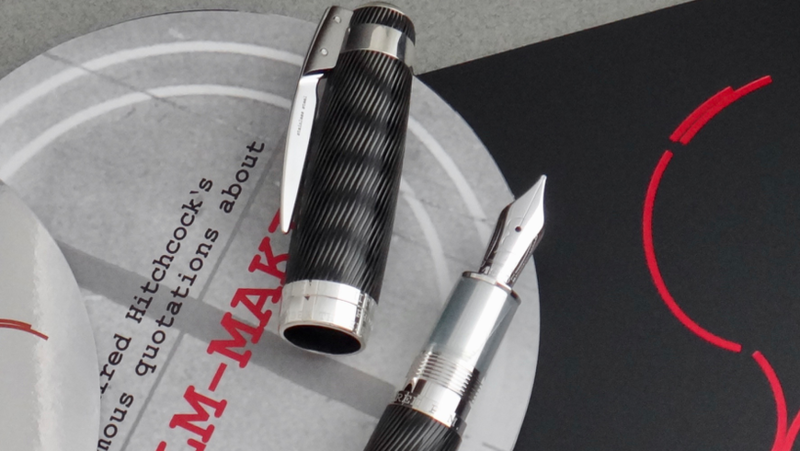 Medium (M)18K gold nib engraved with Hitchcock’s profile, has never been inked. 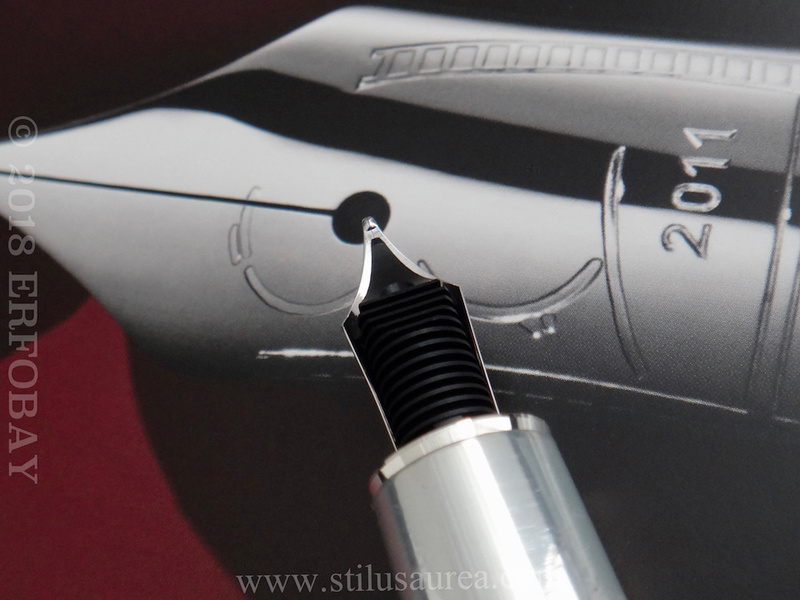 It comes still with plastic film around the nib section. 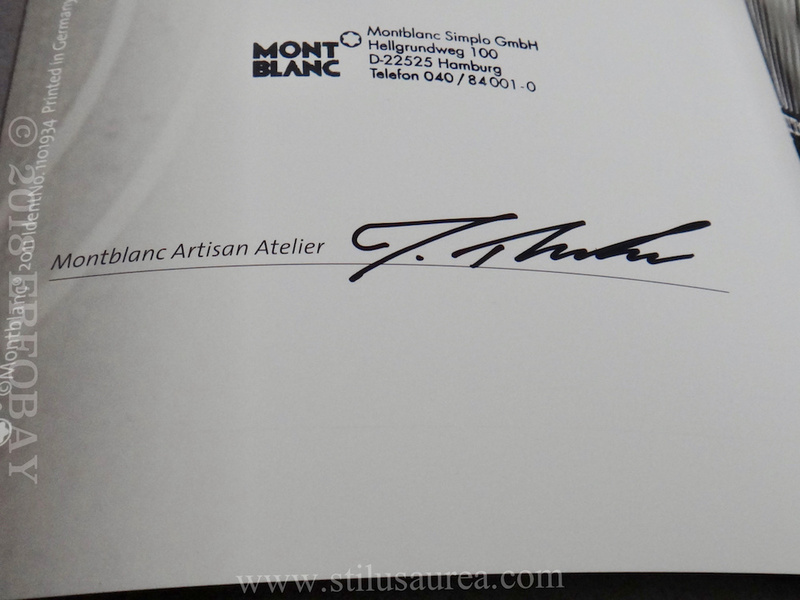 Outer box, display box, small “film can” containing book of quotes, booklet/International reply card (duly stamped). 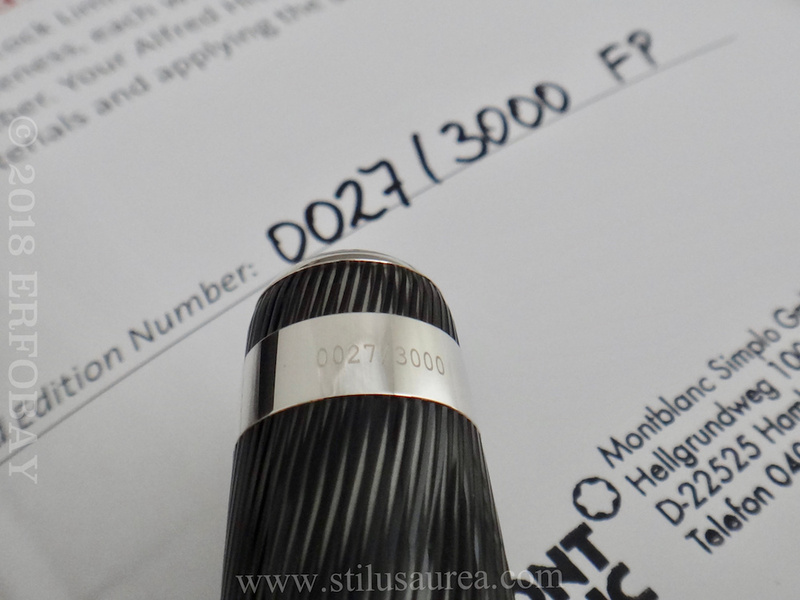 Limited Edition: 0027/3000 (low and VIP number). 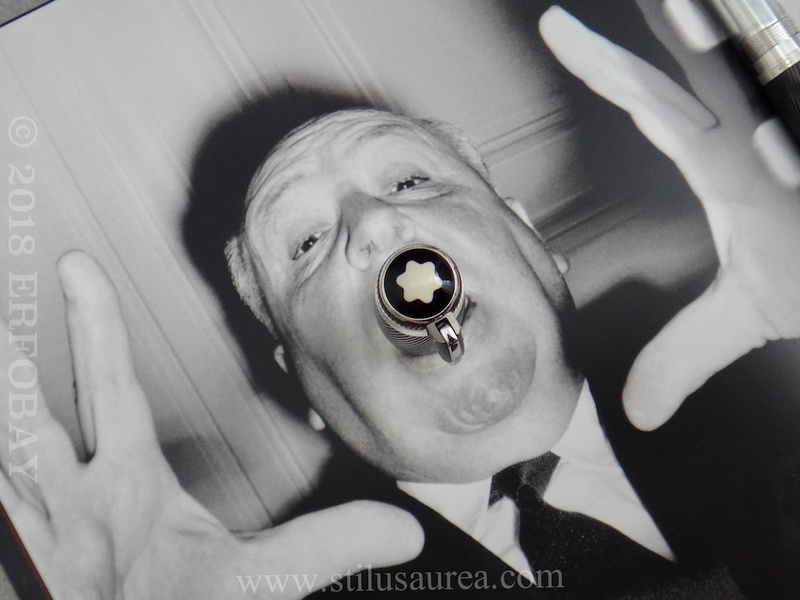 The shower scene from Psycho clearly demonstrates Hitchcock’s phenomenal cinematic skill. 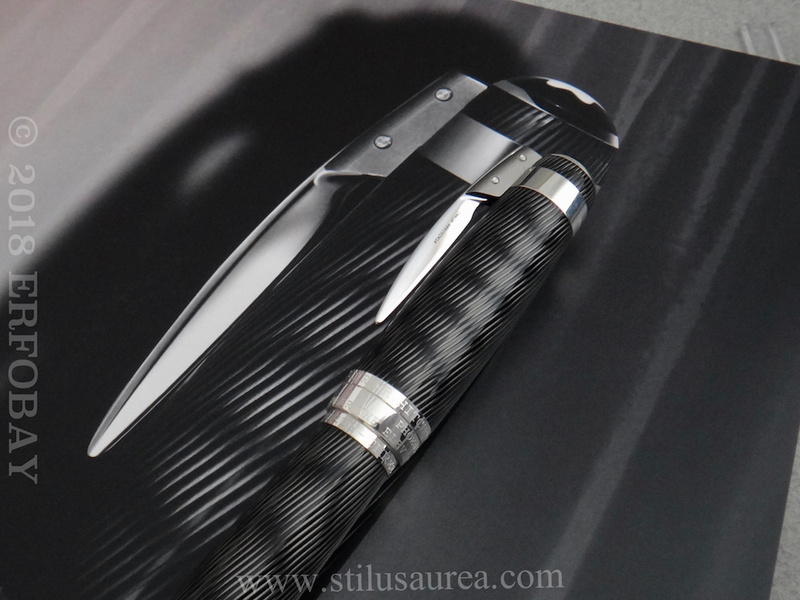 In 45 seconds that wrote film history, a woman is murdered in cold blod with a knife whose shadowy image remains emblazoned in the mind’s eye long after the screen goes dark. 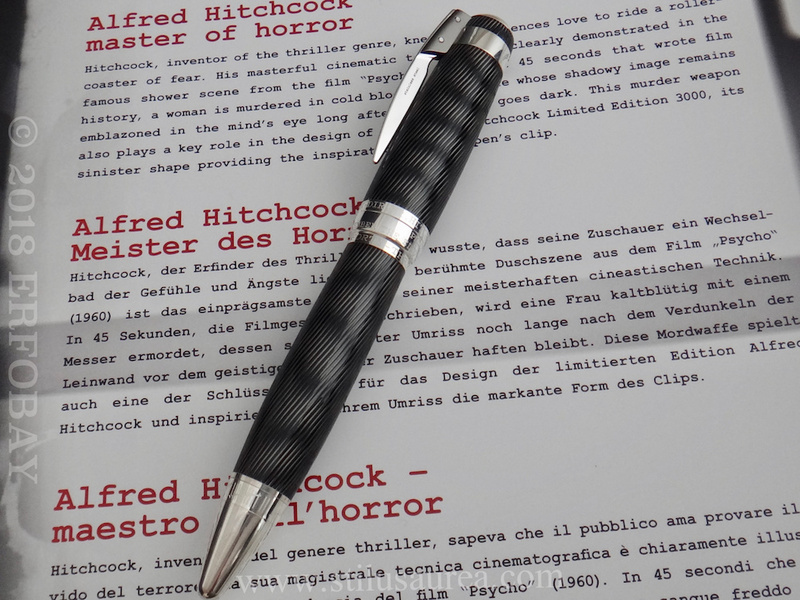 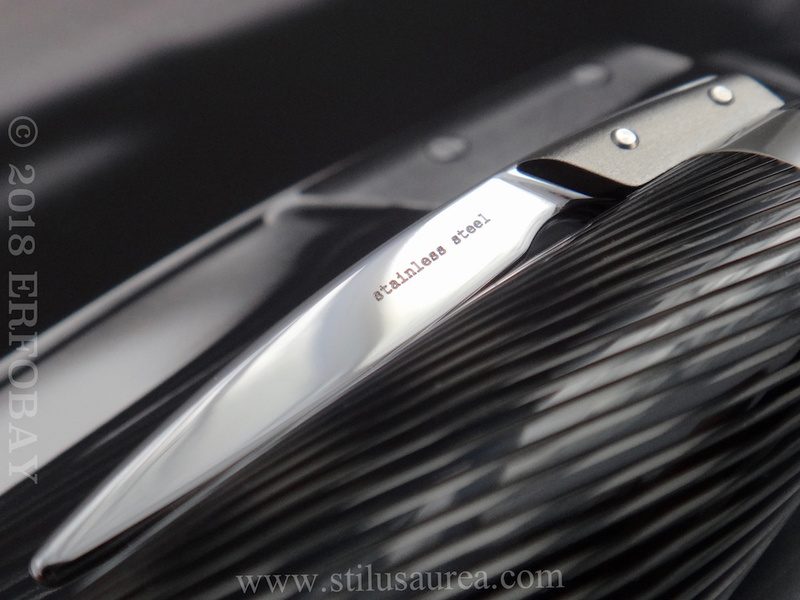 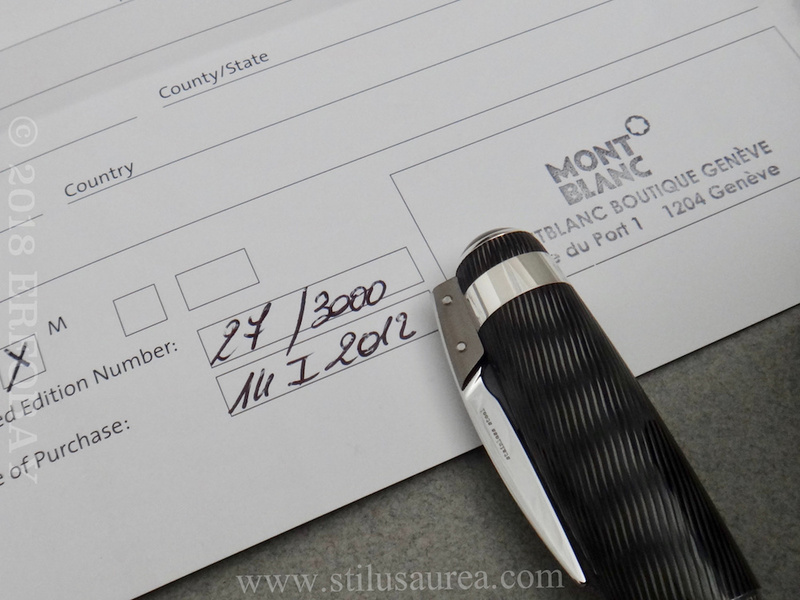 This murder weapon also play a key role in the design of the Alfred Hitchcock LE3000, its sinister shape providing the inspiration for the pen’s iconic clip. 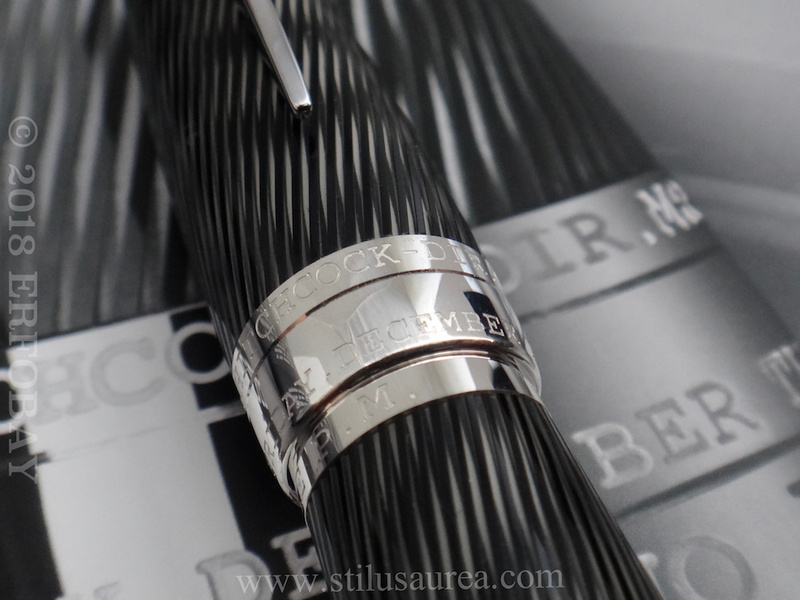 As a reference to one of his greatest suspense thrillers, the cap ring of the LE3000 features an artistic engraving, rendering the original label of the Psycho film reel. 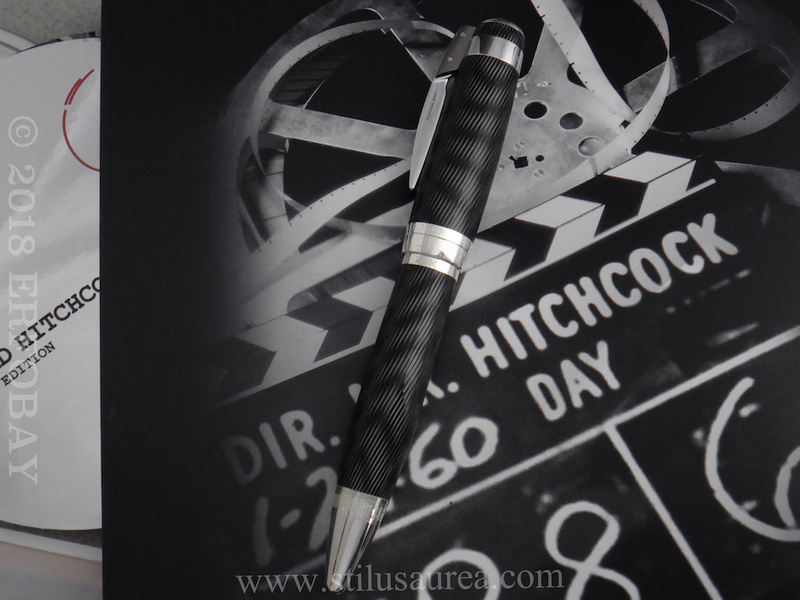 The pivotal scene in Hitchcock’s Vertigo (1958) takes place on a staircase that winds up a tower. 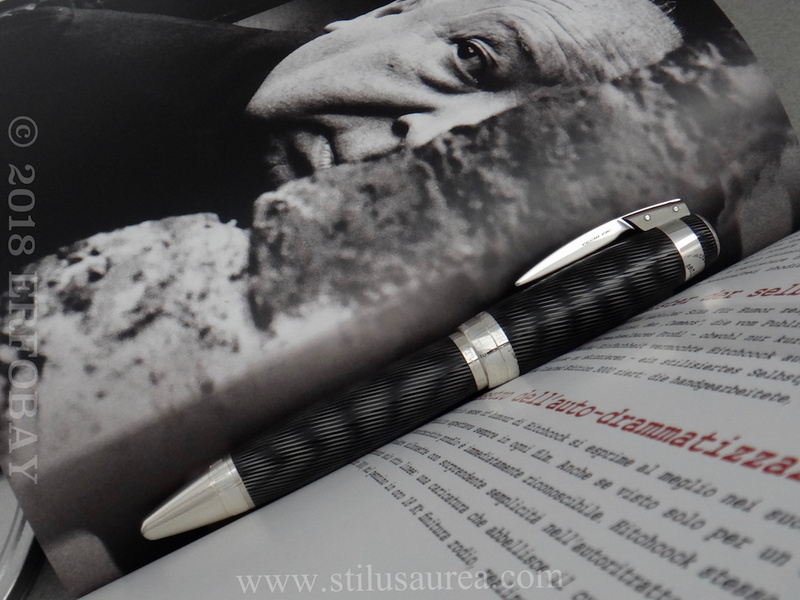 As the main character races frantically up the stairs in the pursuit of answers to the mystery surrounding him, he experiences a crippling bout of vertigo – looking down, the stairs stretch away from him, dizzyingly exaggerating the distance to the ground. 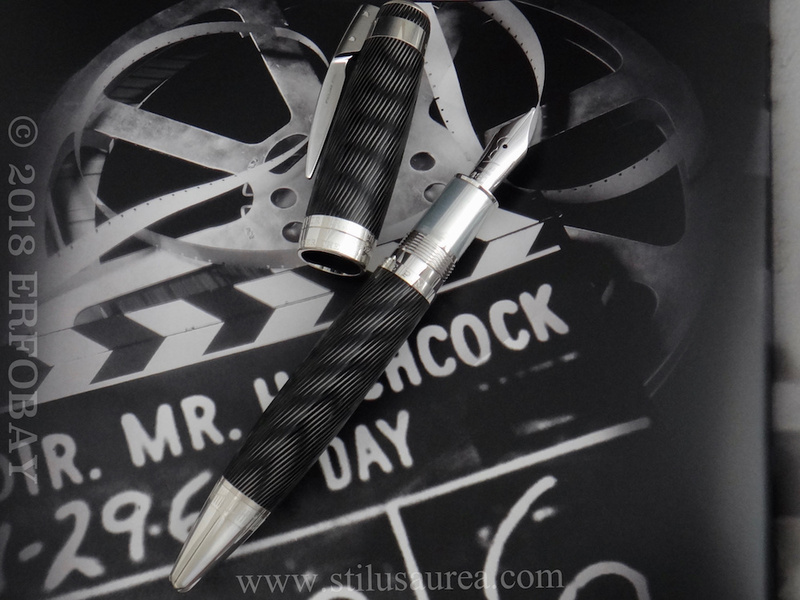 In the style of the famous vertigo effect, invented by Hitchcock and used for the first time in this film (a disorientating, opposite camera zoom that seems to cause the ground to drop away from beneath the audience’s feet), the cap and barrel of the limited edition 3000 are made of precious lacquer with a spiralling design. 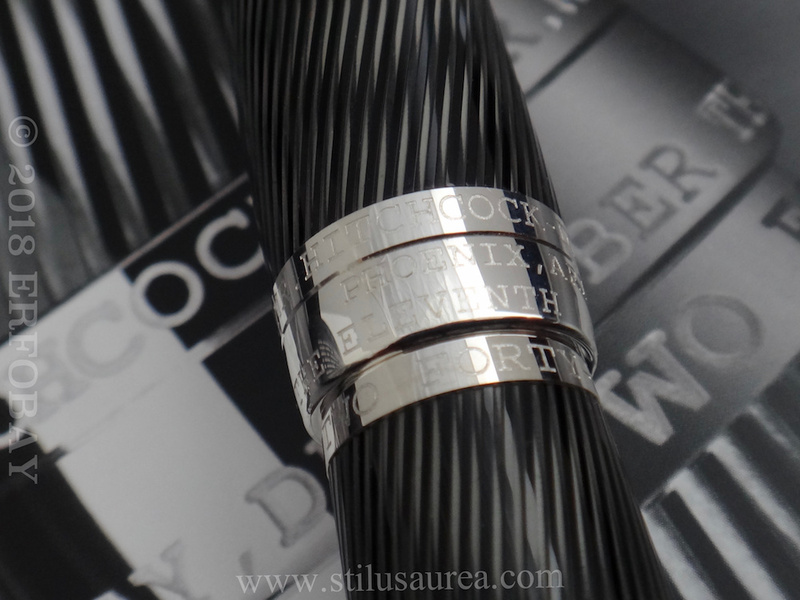 The design is mainly influenced by the stairway effect from the movie Vertigo and elements from the movie The Rope. 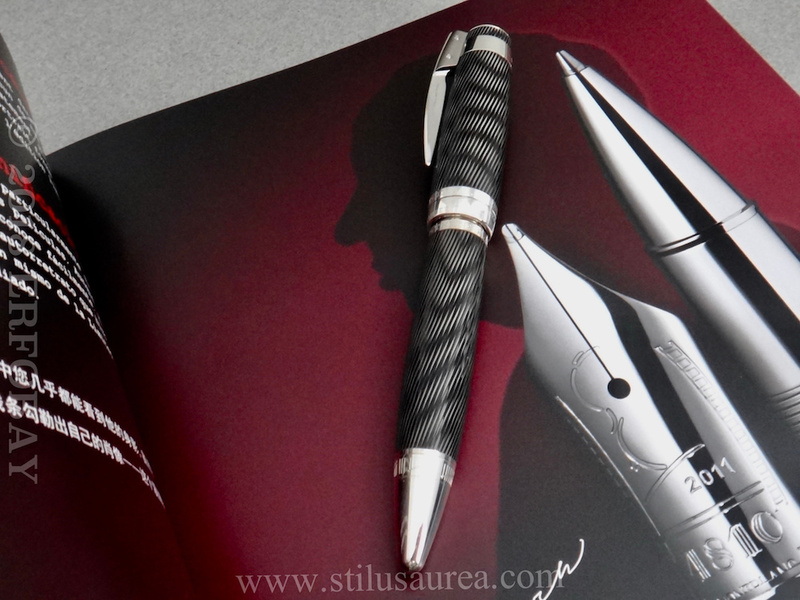 A cameo self – portrait of the great genius of the thriller genre is engraved in the handcrafted, rhodium-plated 18k gold nib. 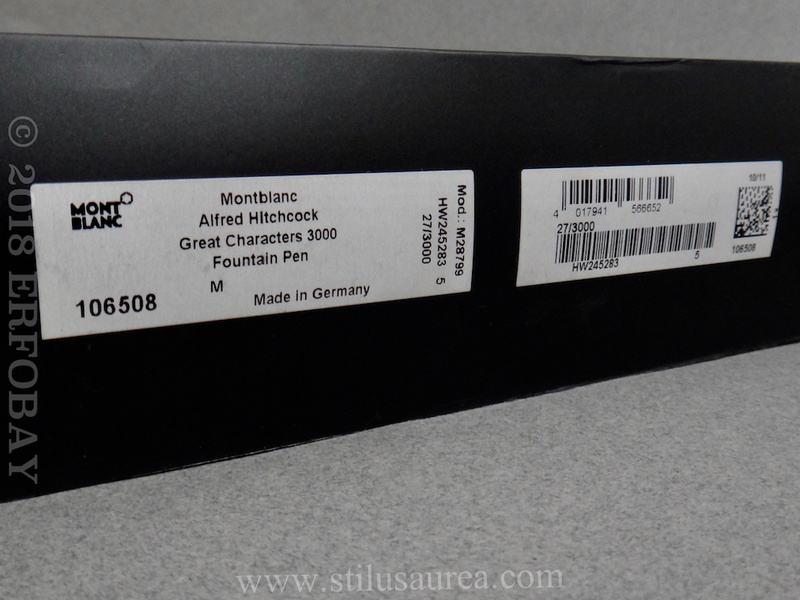 We currently have in our Company stock the rare MB Alfred Hitchcock Artisan version (LE80).